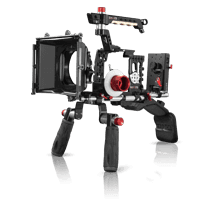 With its long flat camera platform and V-lock quick-release compatibility, SHAPE’s BP8000 V-Lock Quick Release Baseplate Kit is a versatile rig option for mid-sized cinema cameras with flat bases. 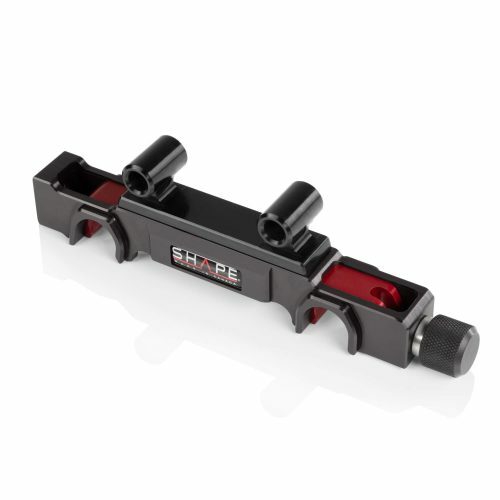 The centerpiece of the kit is the V-lock baseplate. Several inches of adjustment are available for achieving balance with large or small lenses. 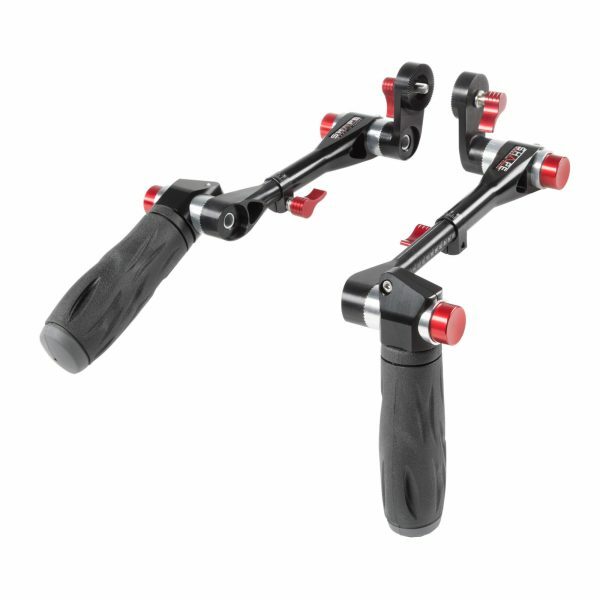 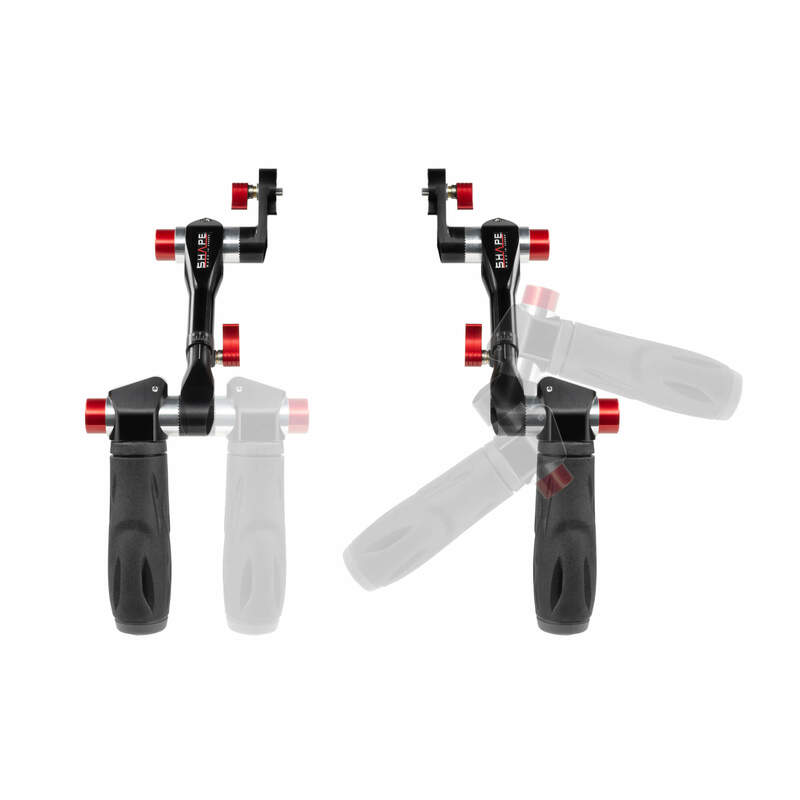 Adjustable 15 mm rods in the front and rear allow for different cameras to comply with the 15 mm LWS standard for compatibility with follow focuses, lens supports, and more. 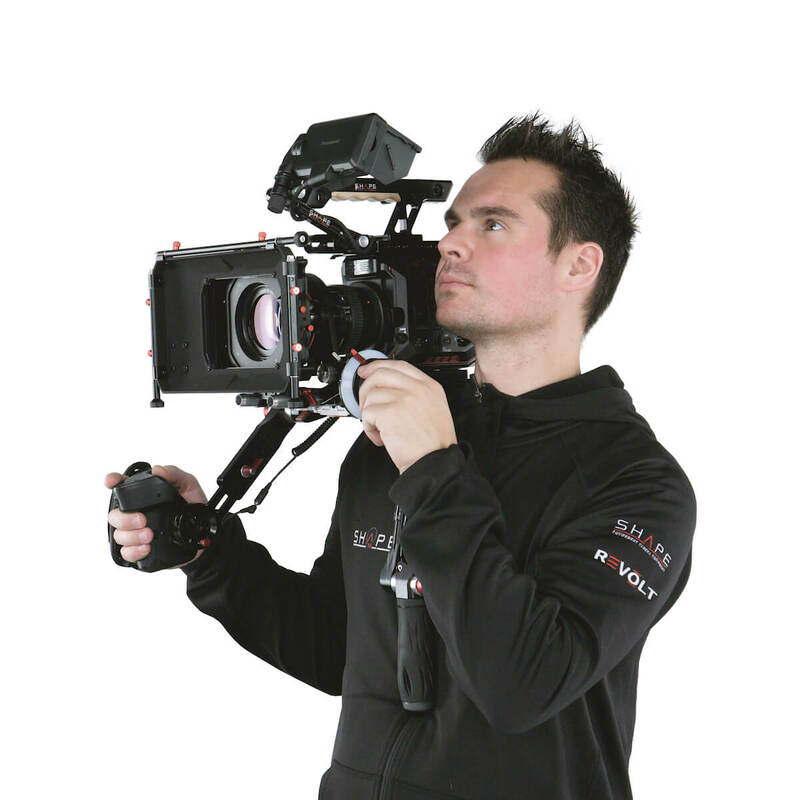 If you’re not carrying the camera on your shoulder, the entire rig can be locked into the included VCT-14 tripod plate. 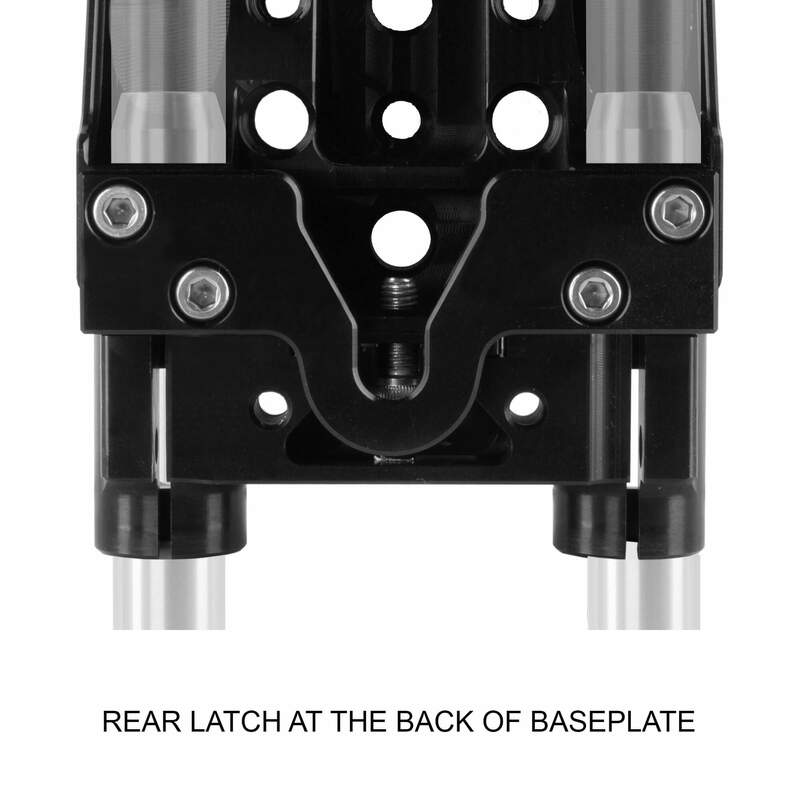 The SHAPE BP0008 V-Lock Quick Release Baseplate is a long format baseplate for larger cameras like the Alexa, F5, C300, and broadcast cameras. It can be used shoulder mounted, tripod mounted, and attached to V-lock tripod adapters. 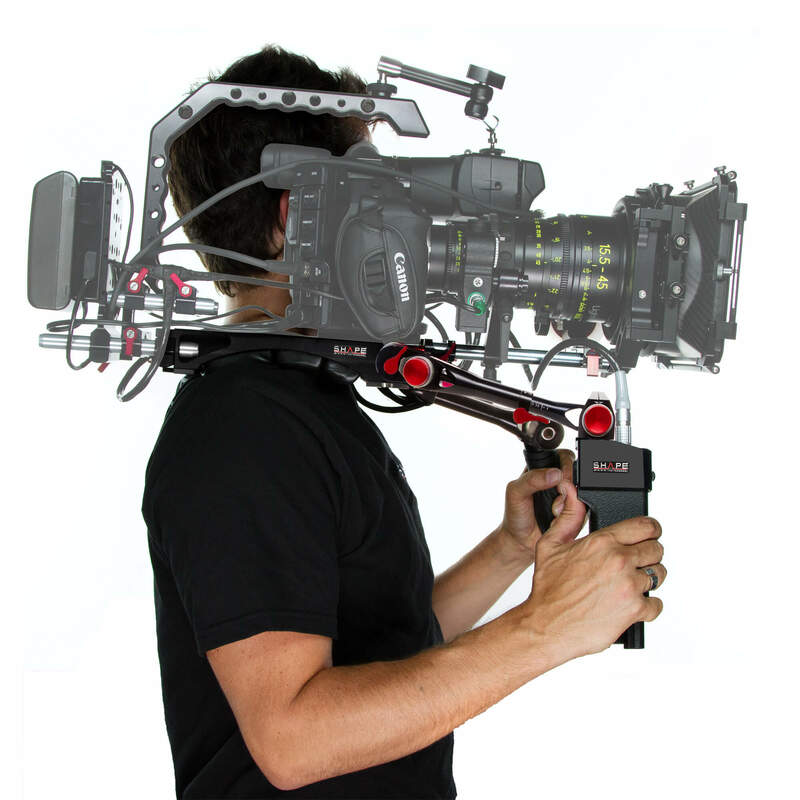 It should be used with cameras with external viewfinders. 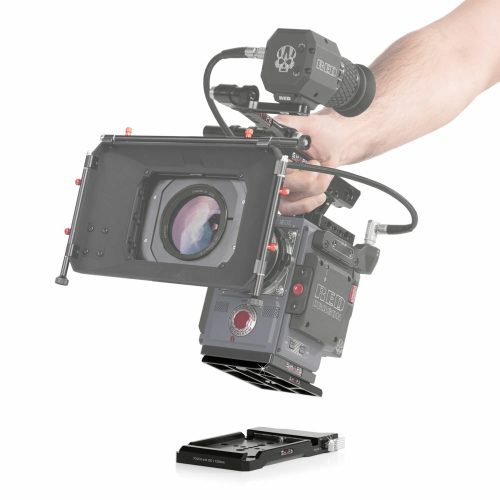 The baseplate includes a removable shoulder pad and features rosette adapters for ARRI standard handles. 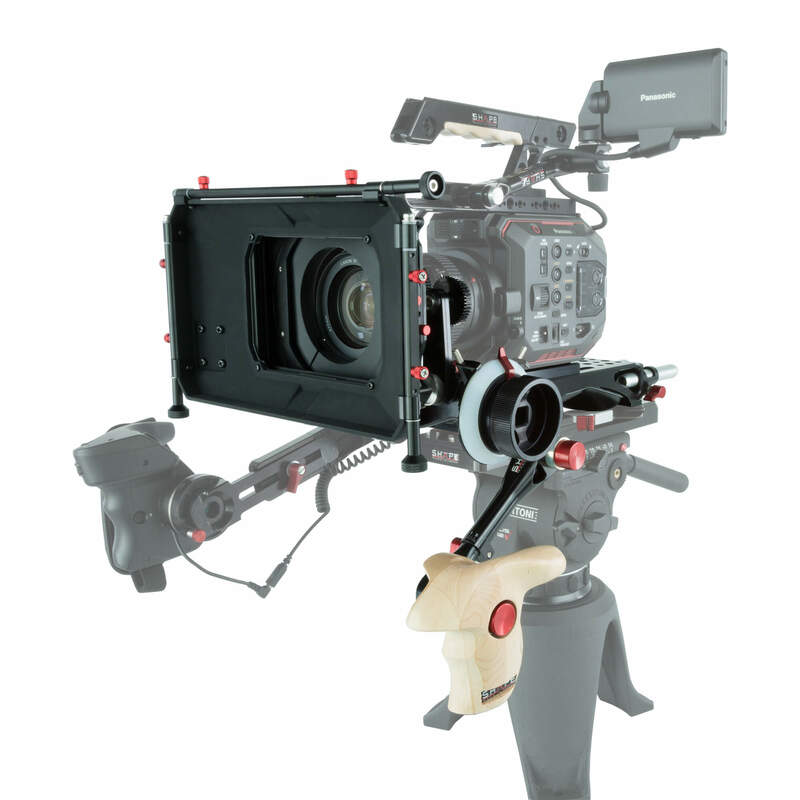 It has 1/4″-20 and 3/8″-16 tripod mount threads and a V-lock delta adapter for attaching SHAPE VCT Tripod Plate (VCTSH) or any VCT-14 tripod plate. 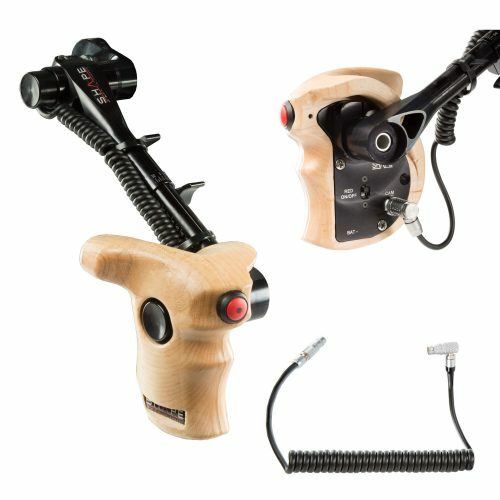 The shoulder pad secures on by touch fasteners. 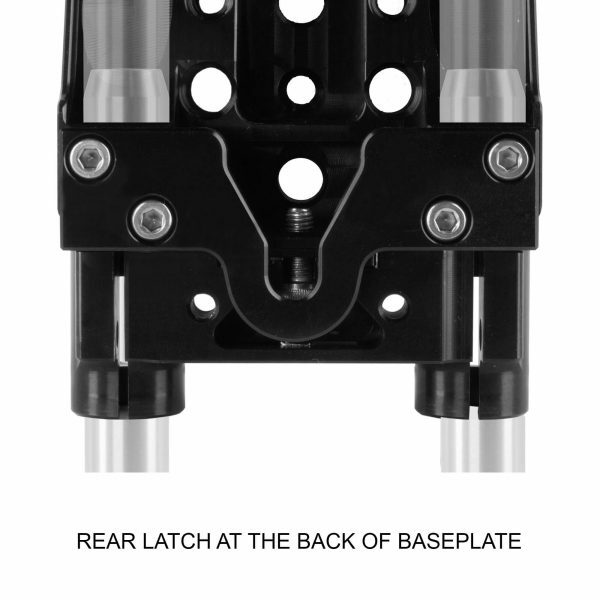 The tripod mount threads are located underneath the shoulder pad.  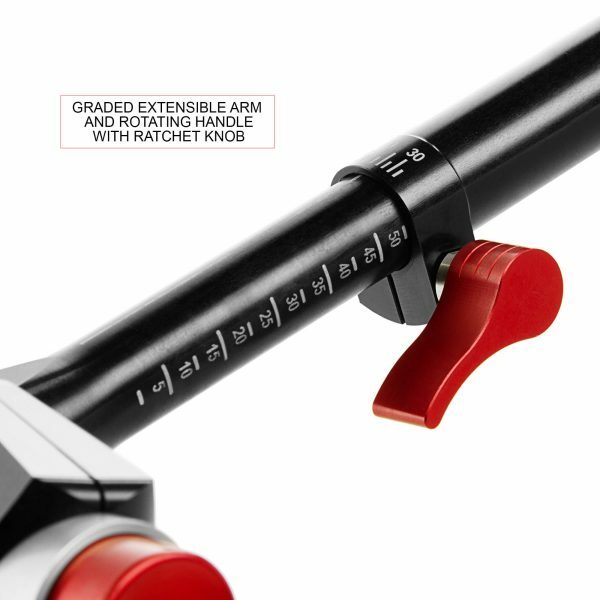 8″ and 4″ 15 mm rods are included for the front and back. 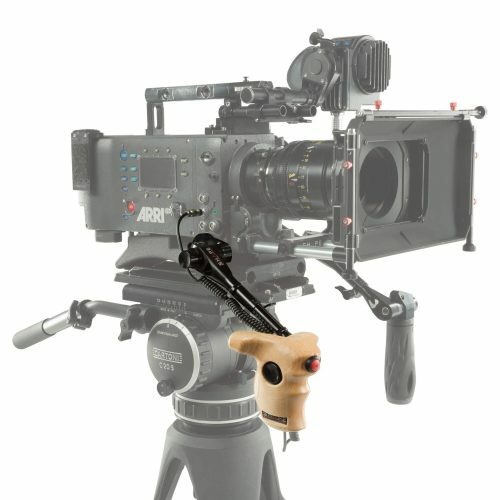 For attaching a matte-box and other accessories, the rod adapter can be adjusted vertically if you remove the screw holding it in position. 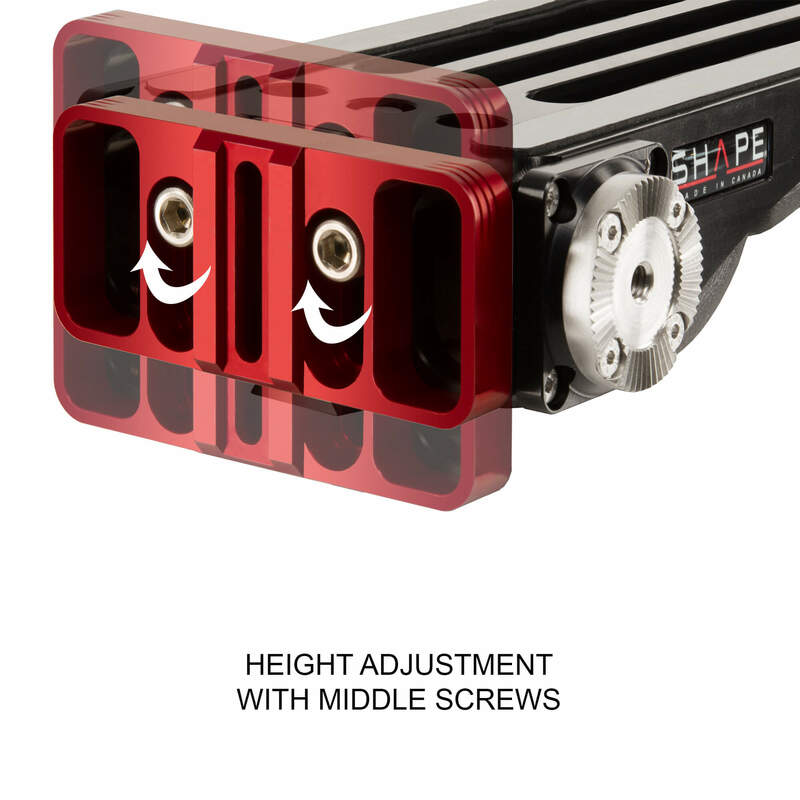 This baseplate also supports optional SHAPE 15 mm Studio and 19 mm Studio adapters in place of the included one. The baseplate features three camera mount slots, all supporting 1/4″-20 and 3/8″-16 screws. 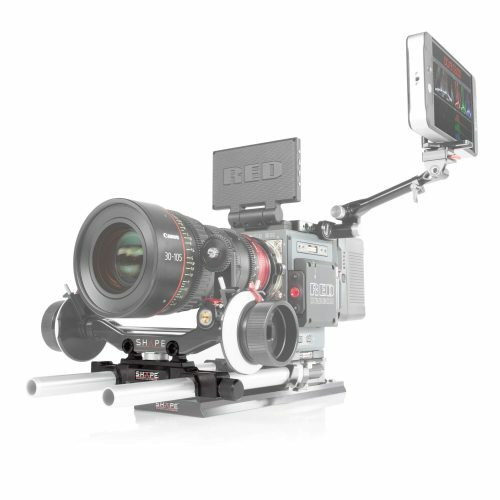 The off-center slots allow you to mount your camera offset if you use a 15 mm Studio Adapter. 1/4″-20 and 3/8″-16 mounting threads are peppered behind the three slots for attaching articulating arms and other accessories. 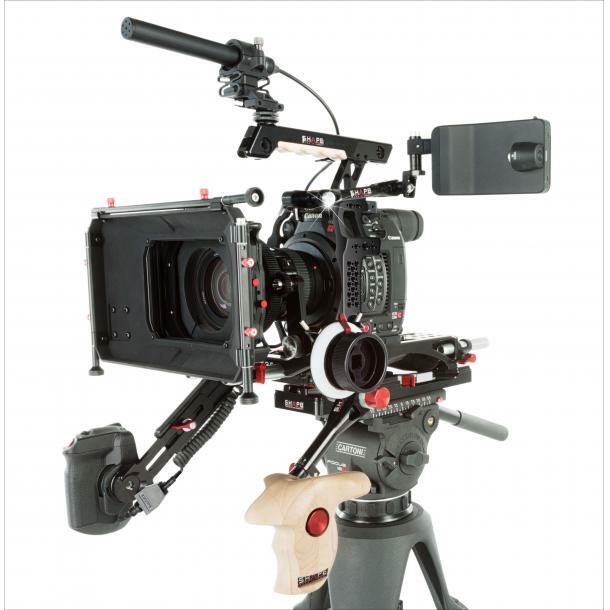 Two 1/4″-20 and two 3/8″-16 camera mount screws are included. 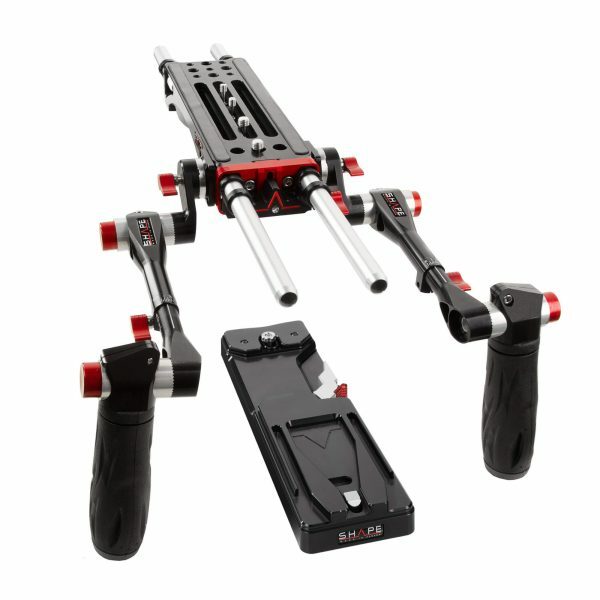 The SHAPE VCT Tripod Plate is a quick-release tripod plate based on a V-lock system with delta attachment at the front and a rear pin at the back. 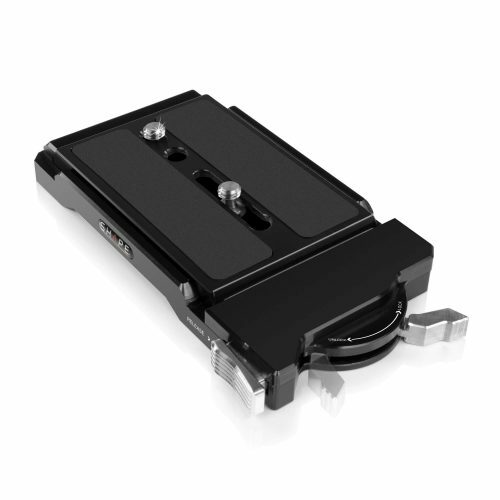 Compatible with a wide variety of baseplates, it facilitates quick-release mounting/unmounting of professional broadcast cameras. 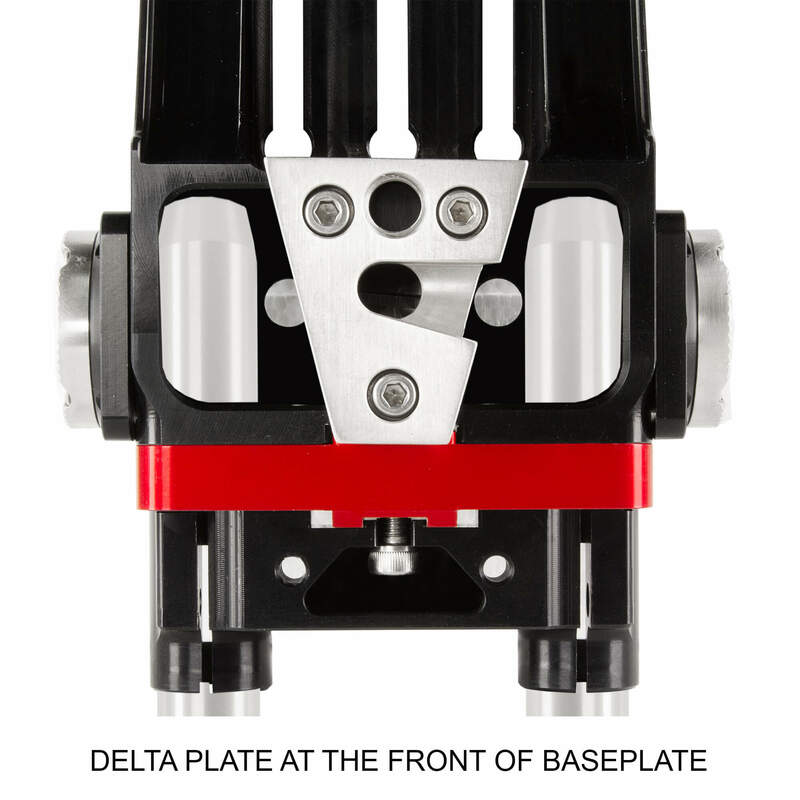 The delta plate system at the front of this plate and the rear catch hook will allow you to quickly mount and dismount your camcorder from a tripod adapter.